Description: Enjoy yourself and family with cozy and comfortable hostel. Baan klang Vieng is a boutique hostel, situated in the central ancient town Chiang Mai one of the most famous spots in town, only 5 minutes from Thapae Gate, and walking Sunday street market; a real showcase of the art and craftsmanship of Northern Thailand. Hotel Name:Deejai Backpacker 193/1-2 Ratchamunka Rd. 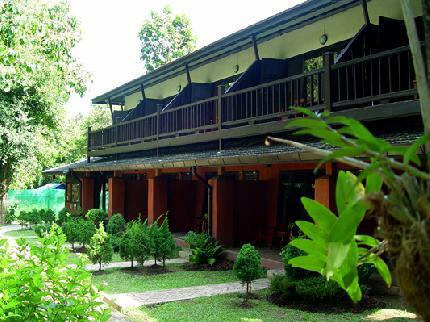 Description: Deejai Backpackers is a family run guesthouse ideally located within Chiang Mai's old city. We have recently renovated our rooms to make your stay more enjoyable and as comfortable as possible. With a variety of rooms to meet your needs and budget, e.g., bunk bed dorms, single/double fan rooms, air-con rooms with cable TV, and much more.